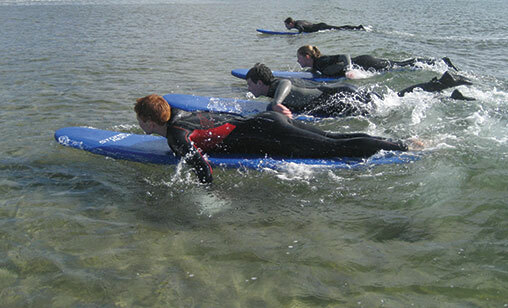 Aloha Surf School runs surfing lessons in the heart of the Burren at Fanore Beach, Co. Clare, Ireland. Situated in one of the most scenic areas of the Wild Atlantic Way. 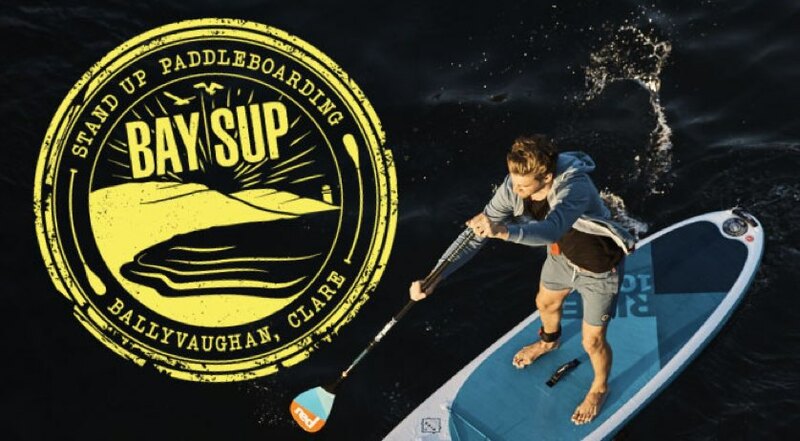 They also have a dedicated Stand Up Paddleboarding School, Bay SUP, who run paddleboarding lessons and tours in Ballyvaughan on the southern shores of Galway Bay. 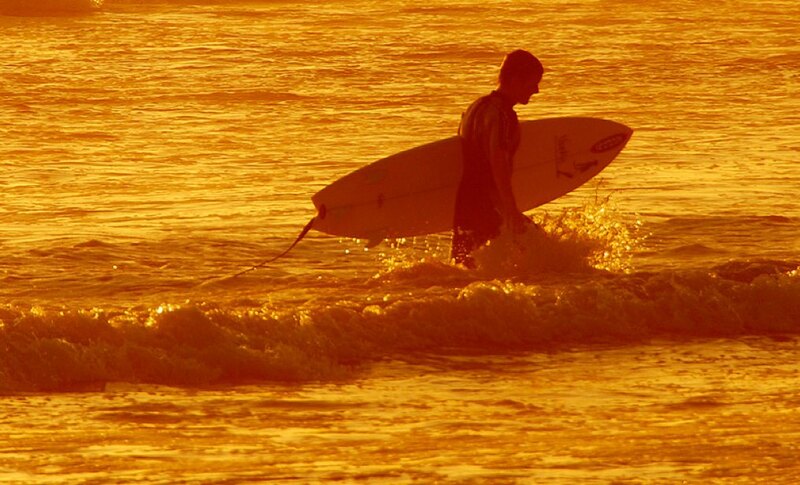 Because of its relative remoteness from heavily populated centres, it does not enjoy the fame attached to less attractive but better known surf destinations in Ireland. All the better for those who come here! 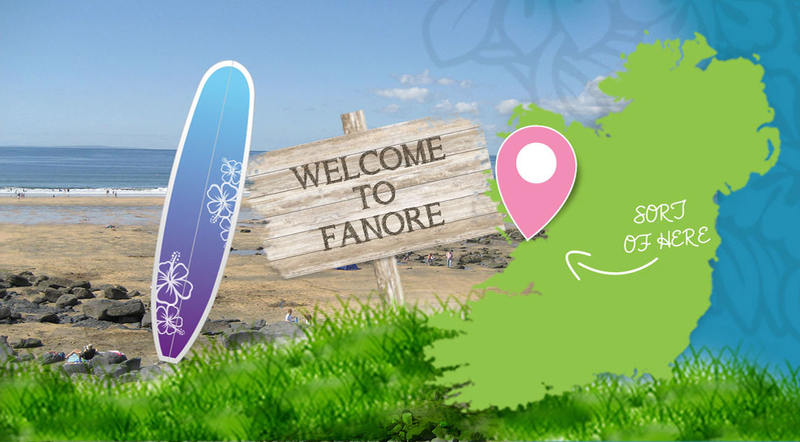 The beautiful Fanore Beach with all its space and uncrowded surf provides the ideal location for those wanting to take part in the exciting experience that is learning to surf. 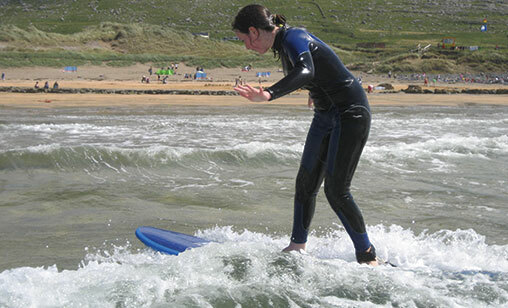 Surfing with Aloha Surf School in Fanore allows surfers to escape the masses and really enjoy a unique surfing adventure. 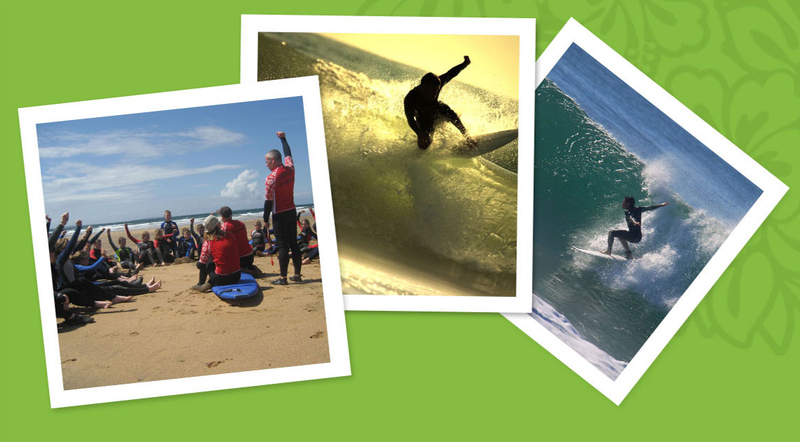 At our surf school, we offer professional surfing instruction for people of all ages and abilities. 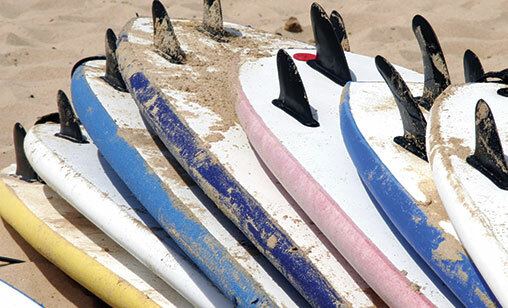 Aloha Surf School’s teaching method relies on a thorough knowledge of the ocean and marine environment to help you really enjoy the surfing experience and also become an accomplished surfer. 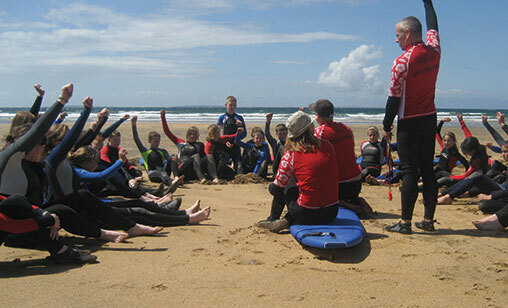 You will be taught beginner, intermediate or advanced surfing techniques along with ocean safety skills. 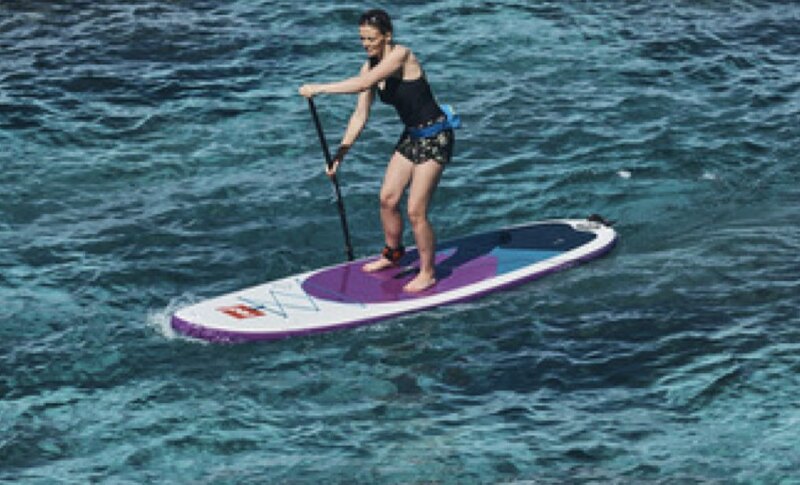 You will learn how to read the ocean with a trained eye, handle rip currents, as well as how to time waves and the judgement skills needed to catch waves safely. 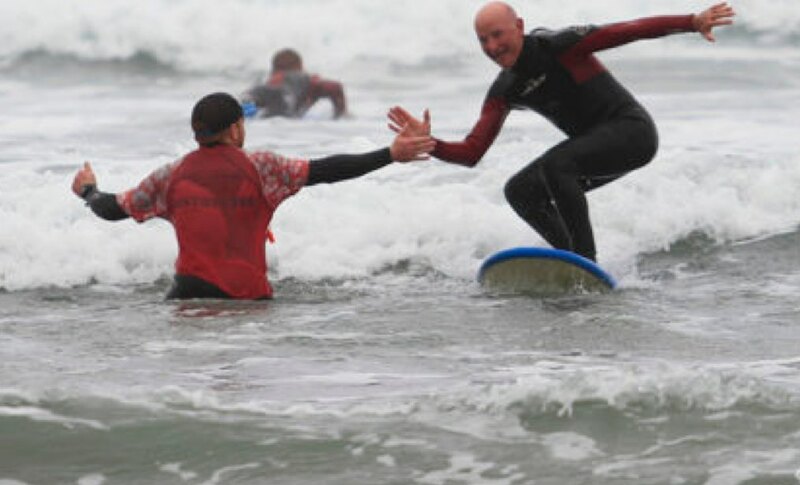 The surf school caters for all levels, from complete beginners to surfers in need of a refresher course and the more advanced wishing to challenge themselves further. 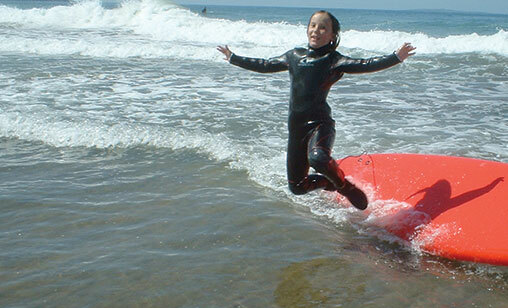 Aloha was established in 2004 and offers a higher level of service than many other surf schools. We place a high emphasis on great customer service and hands on coaching. We have French, Spanish and Portuguese speaking staff.